← Organising – you and me are breaking up. 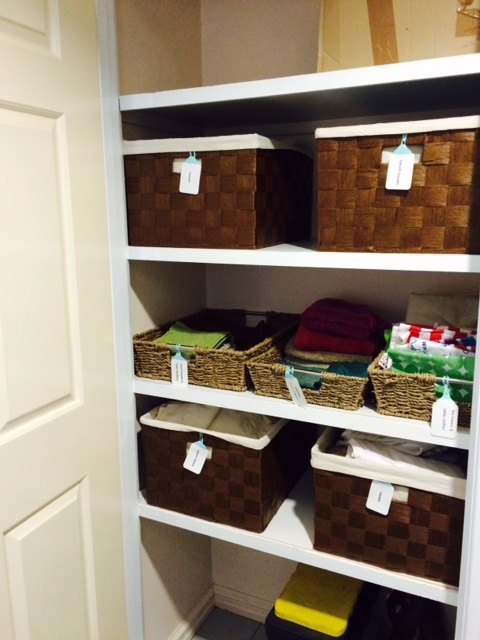 Part 2 of my breaking up with organising series – this time, the linen cupboards in our house. Six beds and seven people equals at least double of that, in sheets, towels, beach towels and extra bedding for guests. 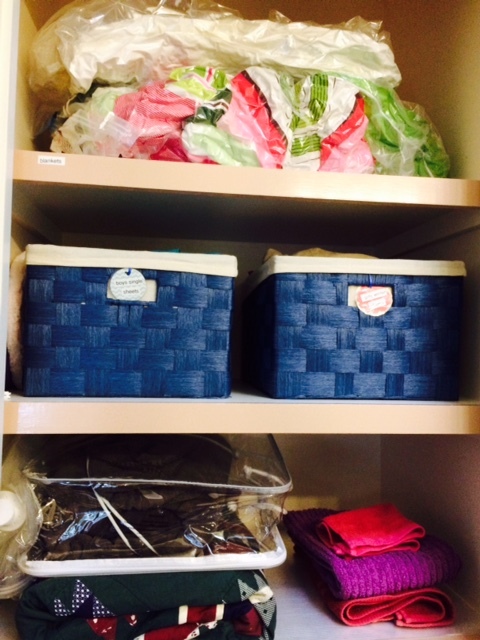 And in the second attempt earlier this year – less things, in neat boxes. 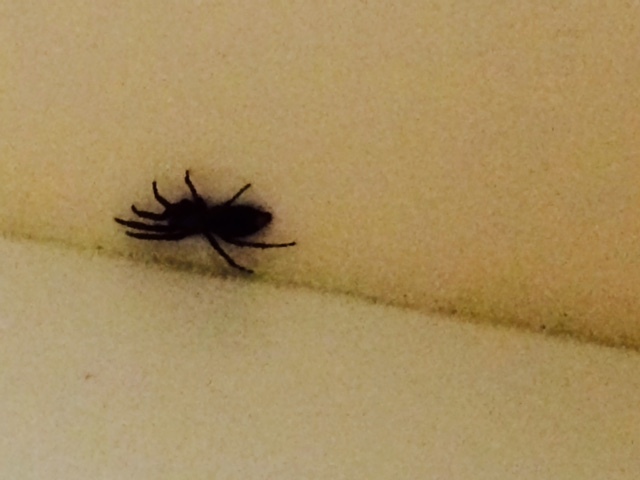 And one little scary creature that I found while tidying again EEK! Looks great. So what did you actually get rid of? Do you have two sheet sets for each bed?? Or less? How about towels? Hi Denise! Two sheet sets for each bed. Each child has doubles of their own coloured towel (so I know who has left them on the floor of the bathroom! ), a few spare blankets, a spare doona and that’s it. How about you? Honestly . 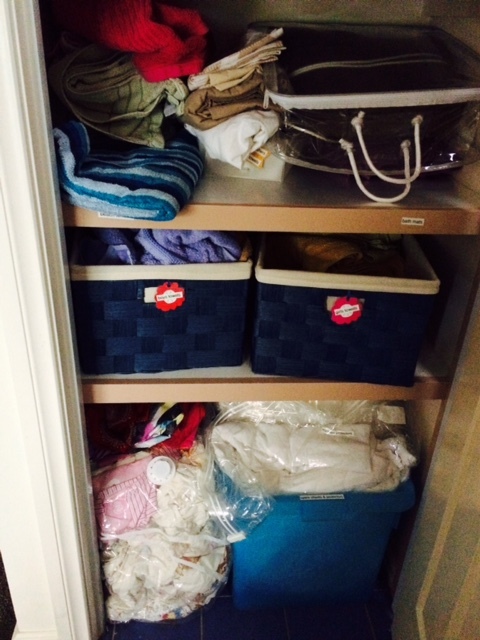 . . my linen cupboard is a mess – the kids keep going in there and messing it up. Trying to train them to take the TOP towel in the pile, not the one four down that they really want! 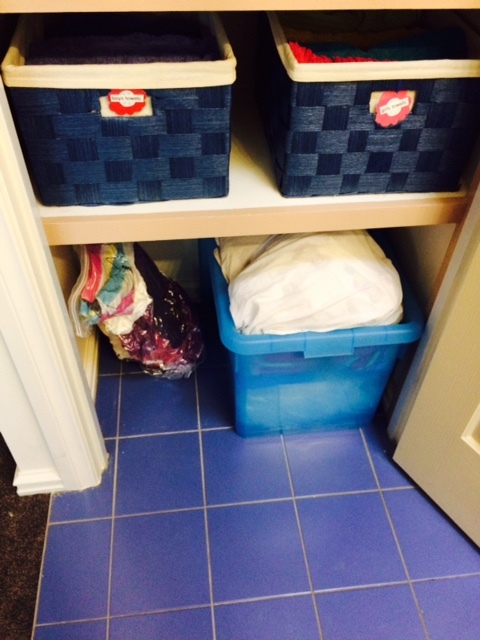 Need to sort through the sheets – don’t have an excess amount, but I think some can be moved into the bedroom they are used in – five different sized beds in this house! Yes – I think that’s a great idea to move them into the bedrooms they belong – then you can easily identify the messy kids from the neat ones… (too easy otherwise to say “It wasn’t me!!”). 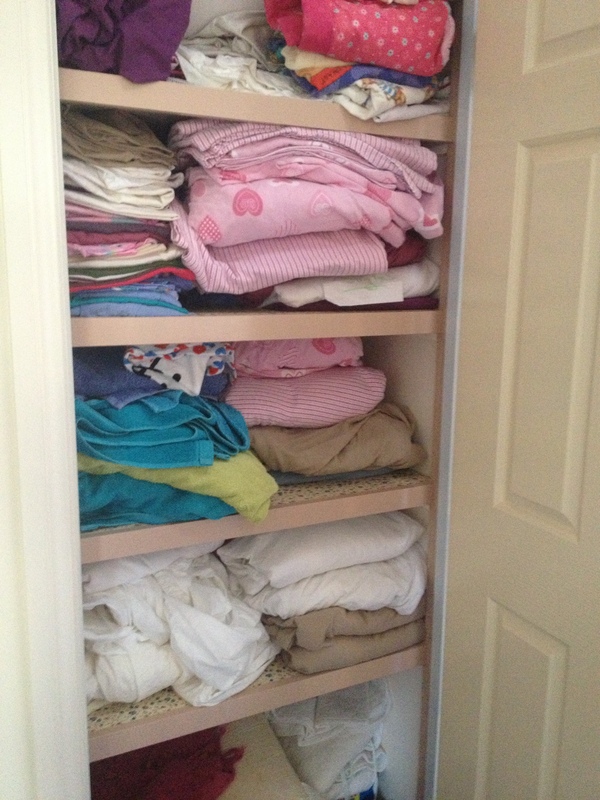 Another tip I found useful is that the kids have their own coloured sheet sets too, and I put the whole sheet set into the pillowcase when they are washed, so they are easily found. Trial and error over here. Seems to be working for now.